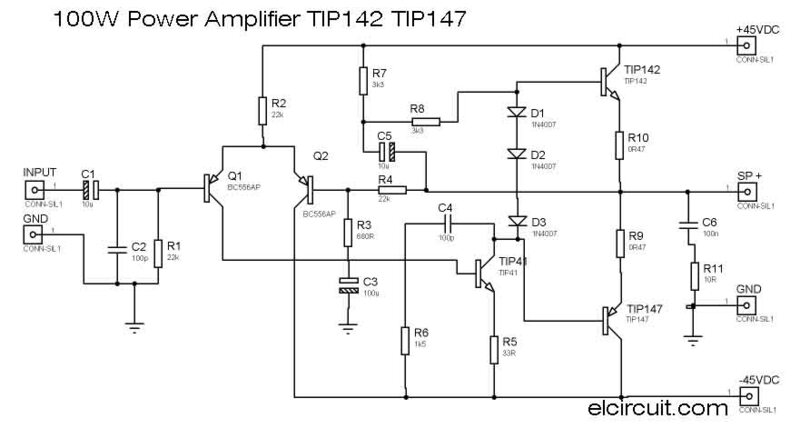 Today I will share a power amplifier circuit entitled 100W Power Amplifier TIP142 / TIP147. Power Amplifier is so powerful, with 100Watt RMS power output at 8Ohm impedance, and has 150Watt RMS power output at 4Ohm impedance. 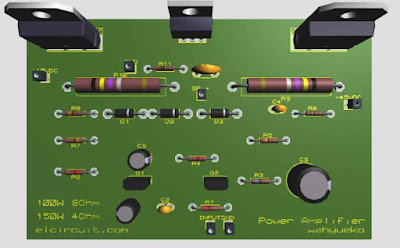 The power amplifier circuit is capable of lifting 12Inch speakers with 200Watt 8Ohm power, both used for mid, midbass and subwoofer. 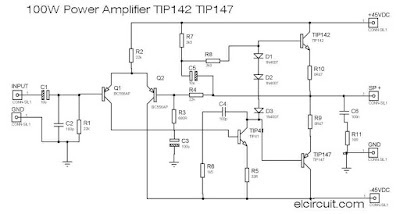 In the scheme, the final transistor used TIP142 / TIP147, for the transistor datasheet you can find at datasheet file-base. 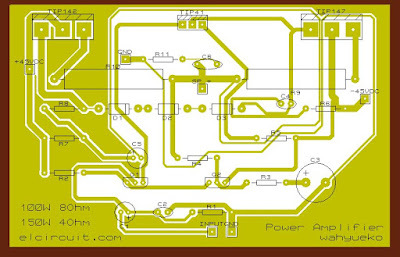 The transistor has an NPN / PNP Darlington construction, so it has a stronger reinforcement. 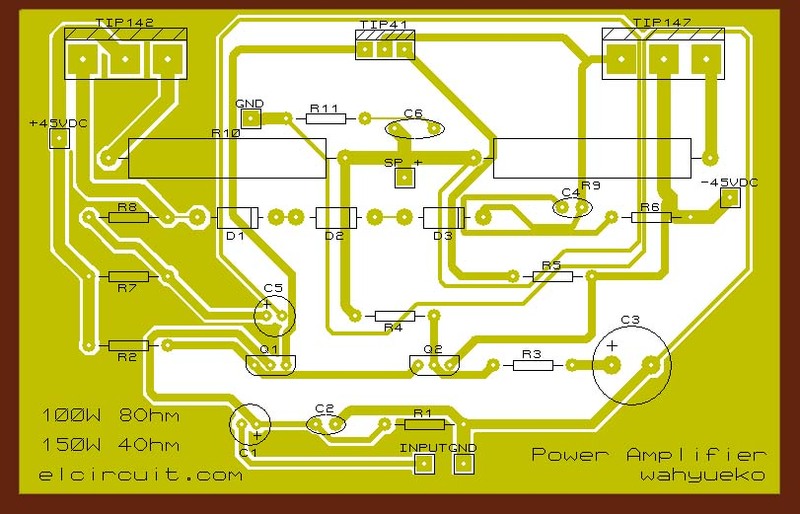 For buffer and driver circuit I use Transistor BC556AP PNP Transistor and TIP41 NPN transistor. For the installation of the driver transistor (TIP41) it is recommended to install the cooler with the final transistor, this works also for Thermo switch. i dont have the pdf file. it just image. if you need clear image please click to view larger and more details. Hello Gopal, Whag doyou mean it 200W Hi? this amp works fine... but over heating. Over heating on final transistors? I have a Tip 142,147 stereo board but I notice that a BD139 is used stead of tip 41. I want to know the circuit will give me stable performance if I use 30-0-30v 5amp trans. Right now it's running on 20-0-20v 3/4 amps trans not sure. And speaker is 150 watts 3/4 ohms ( Samcon Turbo) 8". Is it possible to use MJ11016 / MJ11015 instead of TIP142 / TIP147?